Grew up with BC Zalgiris Kaunas (Lithuania) youth teams. Played the 2002-03 season with LKKA Zalgiris, in the Lithuanian 2nd division. 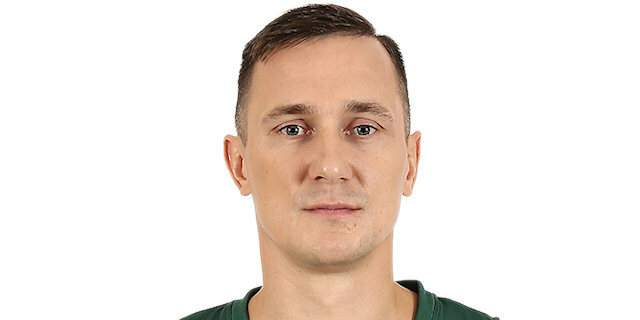 Made his debut with BC Zalgiris during the 2003-04 season. Moved to Russia for the 2009-10 season, signed by BC Khimki. Back to Lithuania for the 2010-11 season, signed by BC Zalgiris Kaunas. Named to the 2017-18 All-EuroLeague Second Team. Named 2017-18 EuroLeague December MVP. Named the 2016-17 EuroLeague Round 26 MVP. Won the silver medal at the 2015 European Championship. Played at the 2005 and 2011 European Championships. Played at the 2006 and 2014 World Championships. Won the 2003-04, 2004-05, 2006-07, 2007-08, 2010-11, 2011-12, 2012-13, 2013-14, 2014-15, 2015-16, 2016-17 and 2017-18 Lithuanian National Championship with BC Zalgiris Kaunas. Won the 2007, 2008, 2011, 2012, 2015, 2017 and 2018 Lithuanian National Cup with BC Zalgiris Kaunas. Won the 2005, 2008, 2011 and 2012 Baltic League with BC Zalgiris Kaunas. Played the 2004, 2006, 2007, 2009, 2011 and 2012 Lithuanian All Star Game. Played the 2006 Baltic League All Star Game. Has been member of the Lithuanian U-18 and U-21 National Team. Played at the 2002 European U-18 Championship. Won the silver medal at the 2003 World U-18 Championship. Won the gold medal at the 2005 World U-21 Championship. Led the 2002-03 LKAL in rebounding (12.3 rpg). Led the LKAL in blocking shots (1.5 bpg. ).